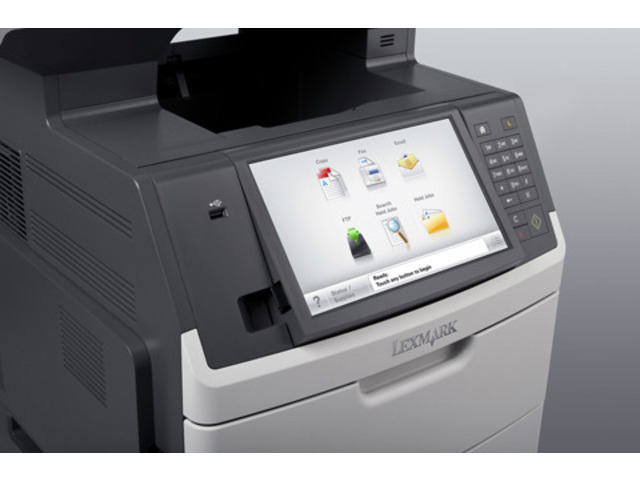 The Lexmark MX711dthe MFP with a customizable e-Task touch screen provides print, copy, fax, scan and email functions. Included are 1,200-sheet standard input, 1GB standard memory and 160+GB hard disk. With a maximum input capacity of up to 3,300 sheets and an extra high yield toner cartridge, you won’t have to add paper or change cartridges as often. 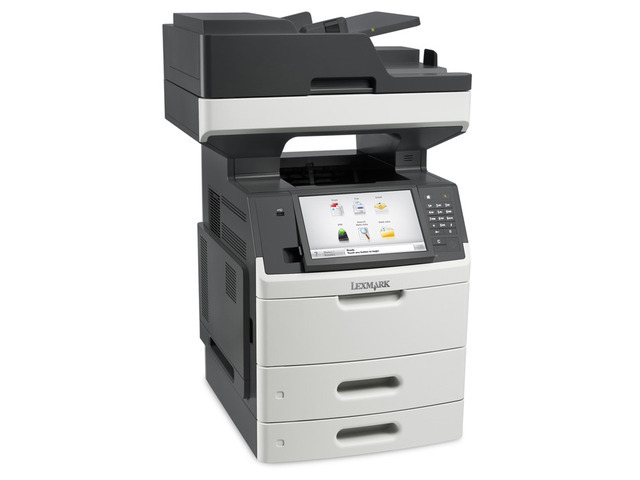 Enjoy print and copy speeds up to 70 pages per minute, plus produce your first page in as little as 4 seconds and rapidly scan a 2-sided document in a single pass. Easily print up to 100,000 pages per month, plus enjoy fewer maintenance hassles, thanks to our state-of-the-art paper handling. A vibrant 25-cm (10-inch) class color touch screen provides access to pre-installed productivity solutions.